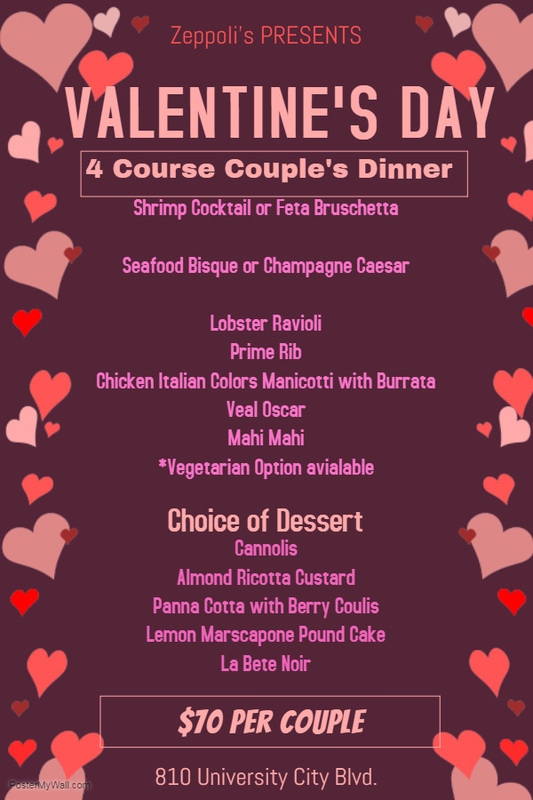 Zeppoli's presents a Four Course Couple's Valentine's Day Dinner on Wednesday, February 14, 2018. Celebrate a four course meal with your Valentine! The cost is $70.00 per couple. To view the event flyer, visit: https://i.imgur.com/AW5gd7i.jpg.